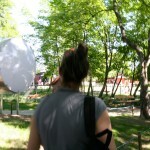 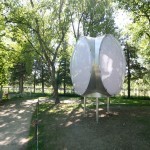 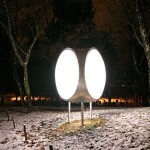 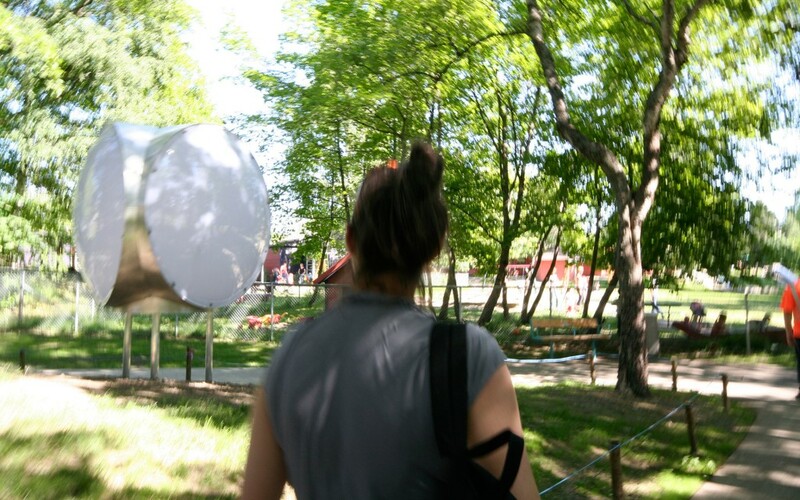 A visiting UFO that has different characteristic in the day and at night. 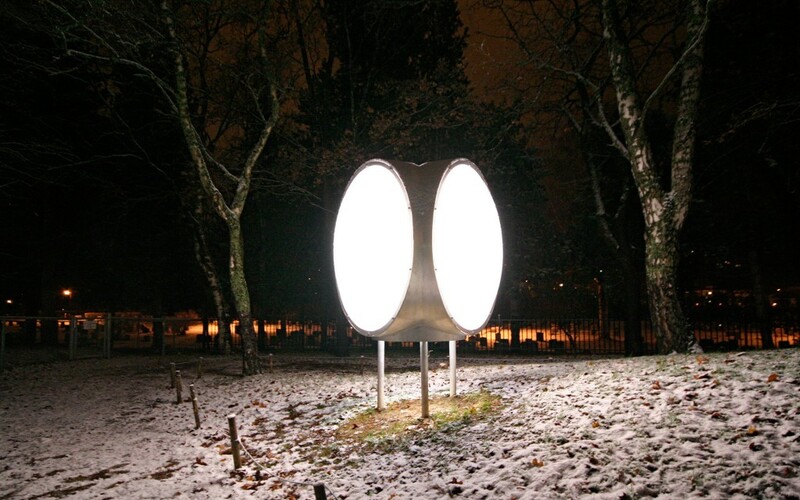 It stands guard over life’s various phases; the nursery school, the cemetery and the hospital. 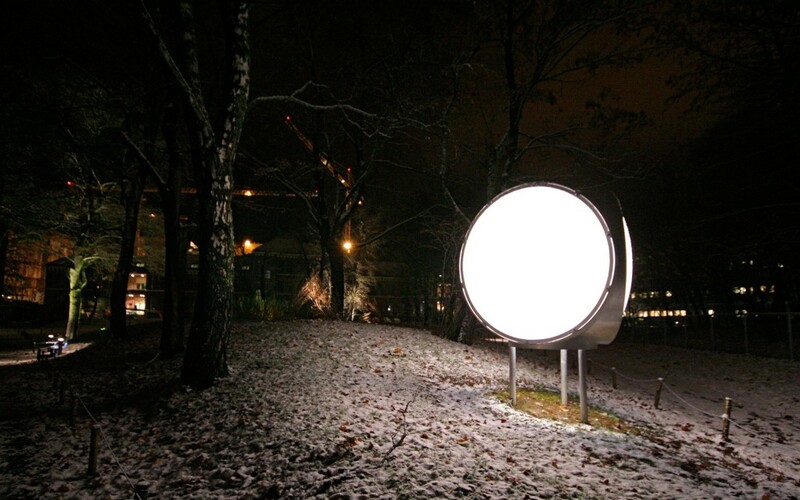 It is white, subtle and reflective during the day and illuminated as the darkness comes. 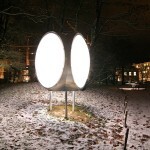 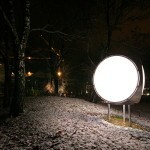 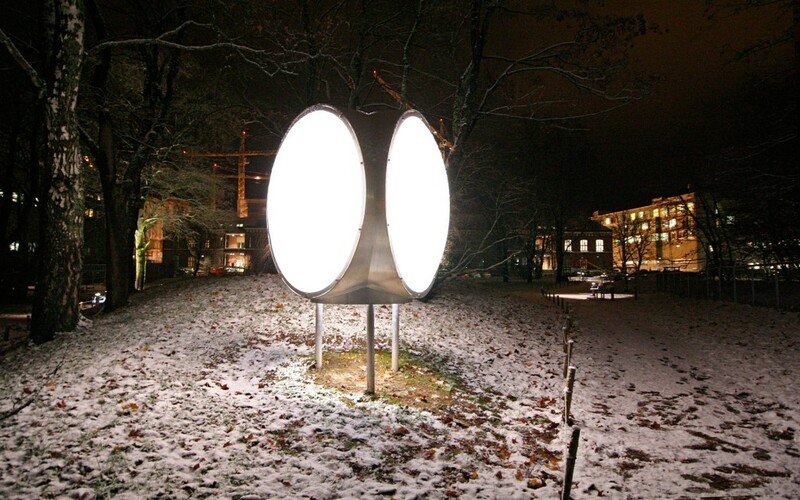 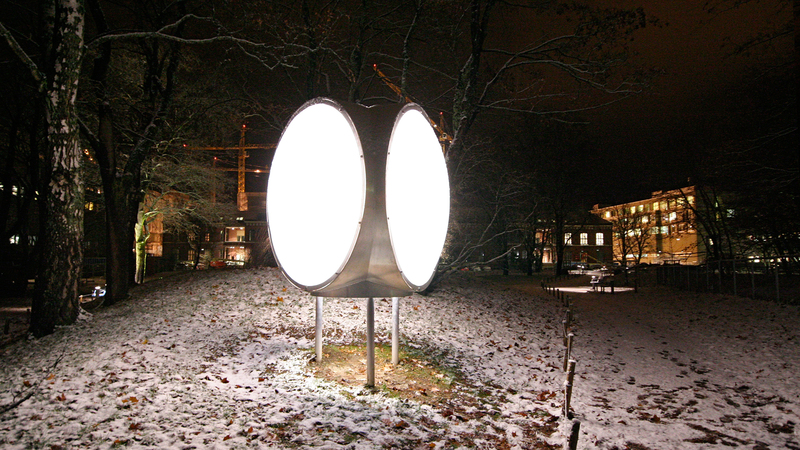 Light sculpture in the hospital park, St. Olav's hospital, Trondheim. 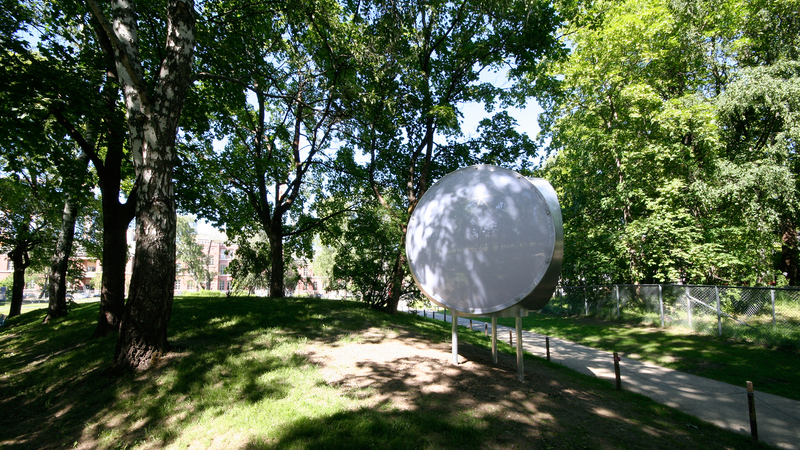 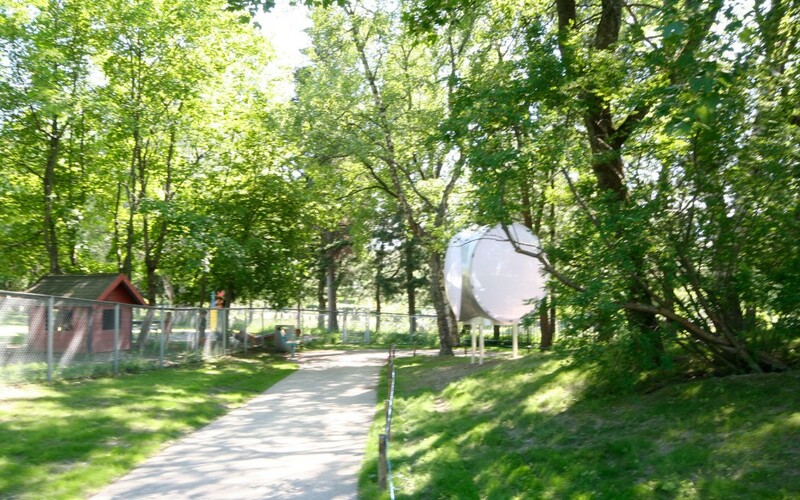 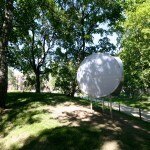 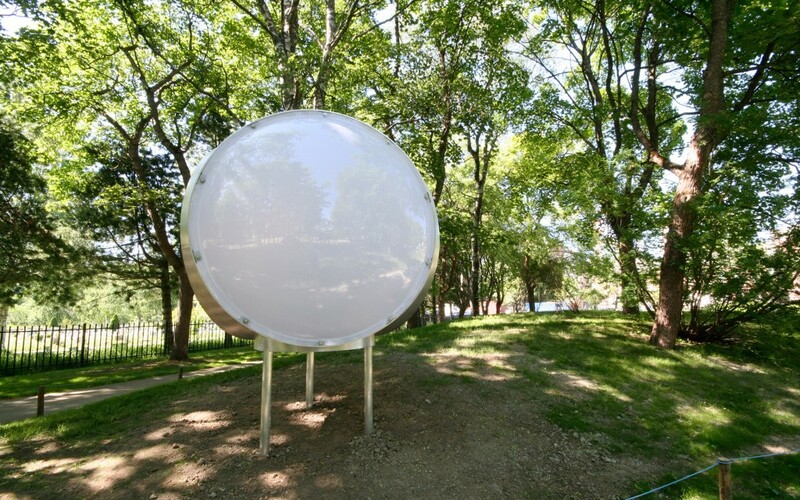 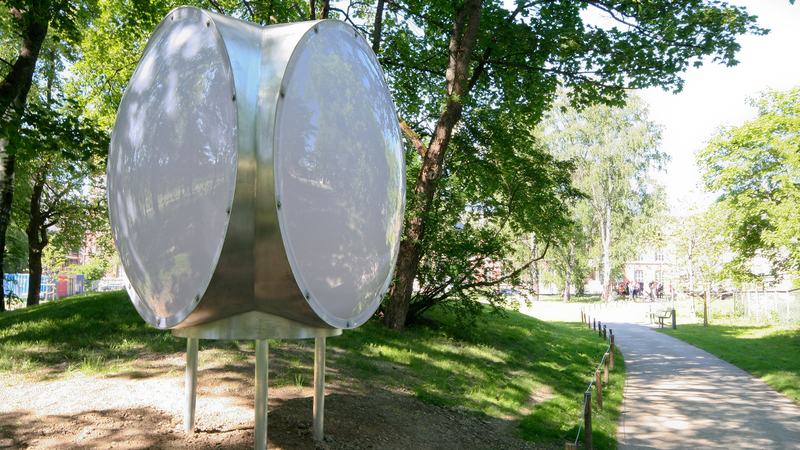 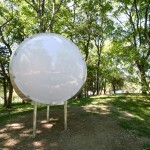 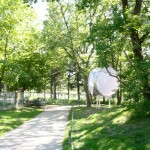 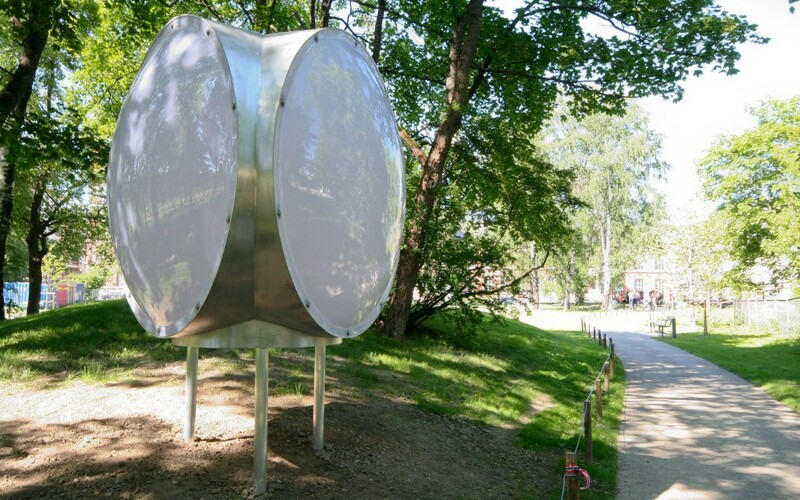 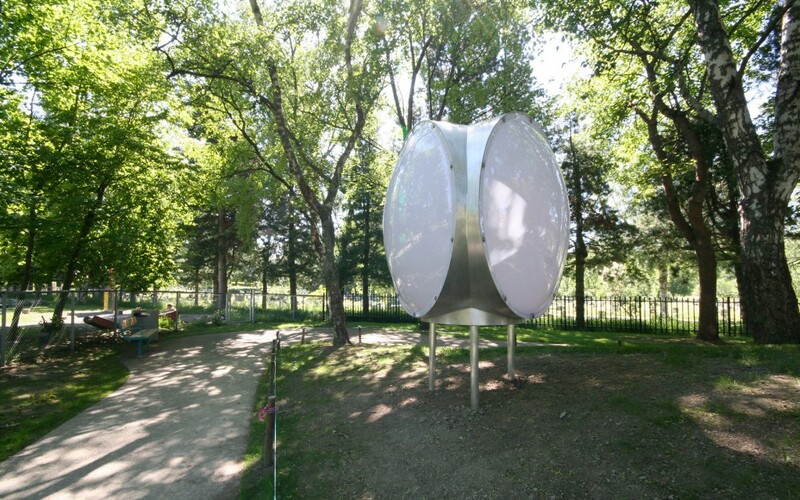 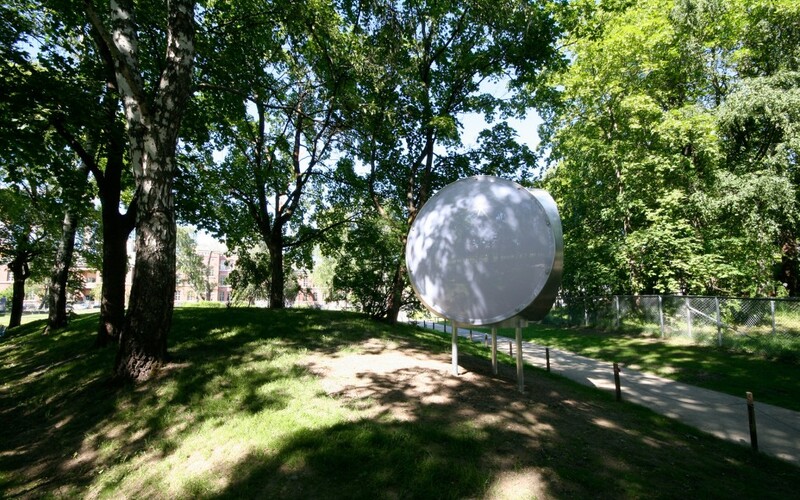 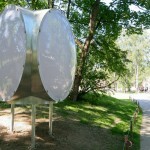 ø ca 200 cm, h 300 cm Aluminium, domes in polycarbonate, light.